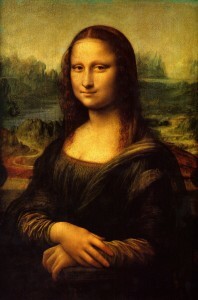 Painting is one of the types of fine art study. Painting is simply a hobby course. There are so many students who wish to find the career in fine art and obviously in painting because it is one of the interesting subjects of fine art. To get the degree in painting education is not much toughest as the engineering or medical, but it is one of its kind courses. The people who like or love to paint are so emotional and humble usually. Such people love the nature, creature, weather, colors, trees, river, rock and earth. Painting is not an educational course or the ability that comes after the training; it is the passion which is born when you born. Painting is the medium of expression. “What you do think, your painting will describe” is the basic principle of painting. With a brush or such tool, a painter can create the anything in the world on the canvas. The main tools of painting are the canvas, brushes and colors. “Painting is a practice to applying the paint, pigment, color or other like clay, sand, gold leaf and paper on the surface of anything like glass, paper, cloth, lead, or any article”. Get Latest Career Notification about Drawing and Painting, by entering your details below. Painting & Drawing don’t attach up with the conventional paintings on canvas, but are extended in various styles such as painting on glass, on fabric, on pottery, etc. Drawing & Painting have better in technological aspects such as 3D paintings & Animation. With the increasing opportunities & lucrative career option, youngsters of India are pursuing for these courses. There are the following courses after 12th in the field of painting and fine arts in India. There are lots of competitions in this field. Thus, the new programme are also been introduced in the field of drawing & painting. After the completion of 12th standard, there are various options in arts. In the course curriculum, the students are taught about the color theory, history of arts and culture of painting. There are few types of painting media like oil, pastel, acrylic, water-color, ink, hot wax, fresco, gouache, enamel spray paint, tempera and water miscible oil paint. There are six styles of painting as western, eastern, Indian, Islamic and African. The contemporary art is one of the newest styles of the painting. To get the admission in painting career, the candidates need to clear the 12th standard first. After the completion of the 12th they may get the diploma curses or the degree courses. Some of institutes are offering the entrance examination before the admission. This entrance examination contains the screening, group discussion and personal interview of the candidate. Some of the youngsters have the misunderstanding that there is not a good career in the field of fine art and painting. Many of students ask for the scope of painting or the opportunity in the field of painting. By the end of this course you may be hired by the museum or art galleries for the private and corporate collection. You may also works in colleges as faculty, or run private workshops and classes. You may be the graphic designer because of the subject as animation is included in the curriculum of this course. You can also be self-employed & work in these areas such as glass painting, tattoo designing, conventional canvas painting, pot painting, etc. There are equal opportunities in both the Government & Private Fields. A fresher in this profession can earn upto Rs. 10,000 to Rs. 15,000 per month according to their talent and work. After gaining an experience in this field, you can earn up to Rs. 20,000 to Rs 25,000 per month on the basis of your work experience, company you work, location, etc. On a survey by the bureau of labour statistics in USA, the annual earning of an artist including painter is around $42650. If you have any query about Career in Drawing and Painting, you can ask your query in the comment box.